Lightherm Sceed is used as a lightweight topping screed to adjust floor level. 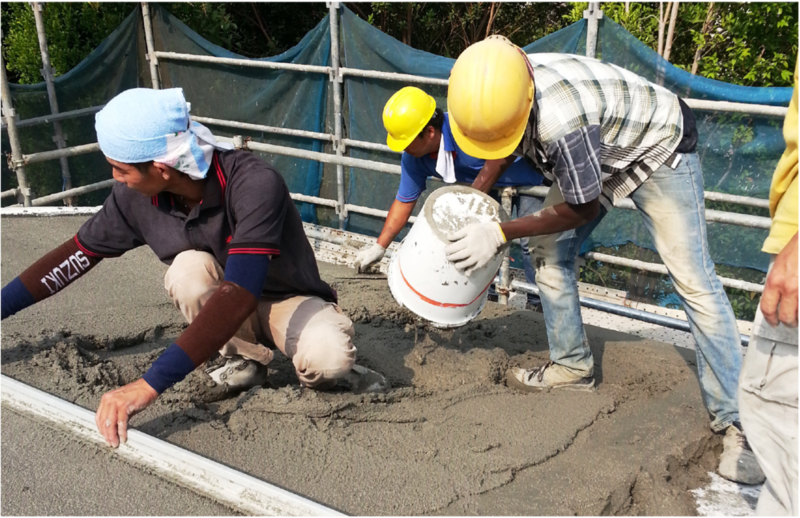 In some projects, there might be concerns with the usage of conventional cement sand screed, due to its high density of 2100kg/m3. Lightherm Screed is an ideal lightweight alternative in replacement of conventional ones. Vodapruf has achieved (Inverted roof system) certification BCA stipulated u-value requirement for the roof application. Based on a density of 250kg/m3, do refer to our mix table design for specific design mix. 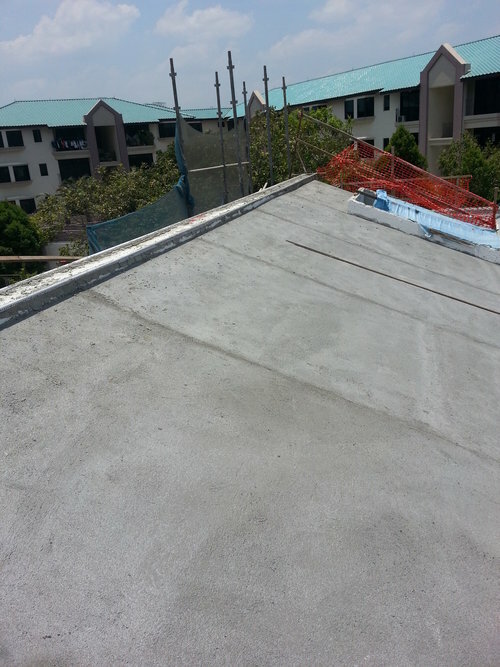 A 50mm thick Lightherm Screed is being applied onto the roof (Inverted roof system) in accordance with Singapore’s BCA stipulated u-value requirement. Koster 21 is a multi-purpose waterproofing coating is being chosen as the single waterproofing product for this project, covering all areas including pitch roof, wet areas and water retaining structures. 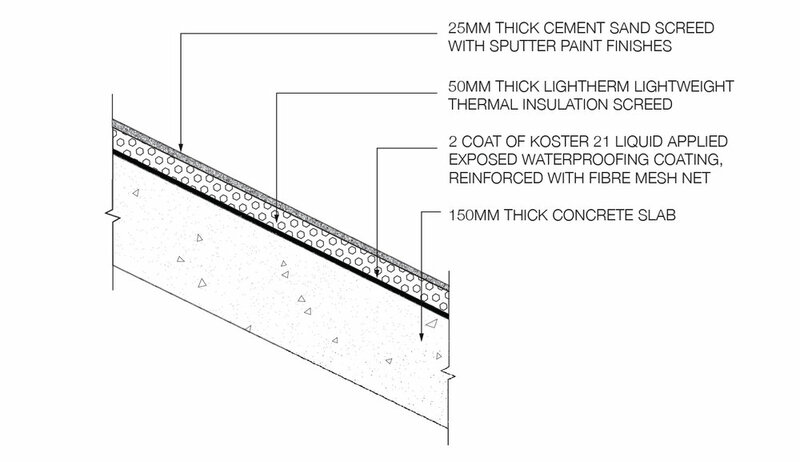 Lightweight thermal insulation screed, Lightherm Screed, is chosen as an insulation layer on pitch roof. It is used as a ‘concealed system/inverted roof system’. Roof area in total 400m2. Want to know more about our Lightweight Construction Materials? Contact our sales representatives for information on how we can help you. 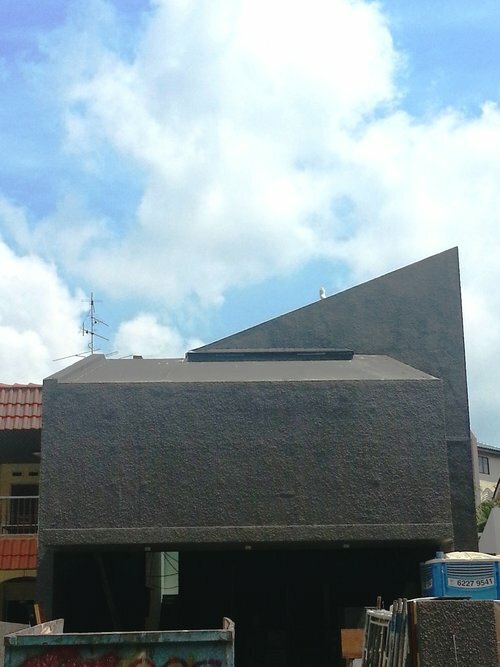 Vodapruf Pte Ltd specializes in supplying high-quality construction materials in Singapore, Malaysia, and around the world. We deliver solutions for waterproofing and lightweight thermal applications. We work closely with our clients, contractors, consultants, architects and developers to provide strong technical support and tailored solutions. © 2018 COPYRIGHT VODAPRUF PTE LTD, ALL RIGHTS RESERVED.